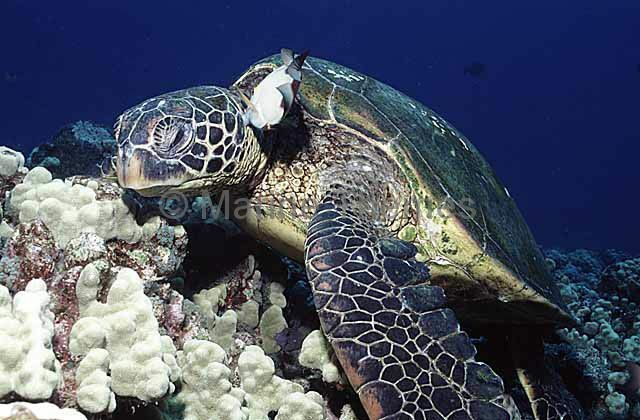 Green Turtle (Chelonia mydas) being cleaned by triggerfish. 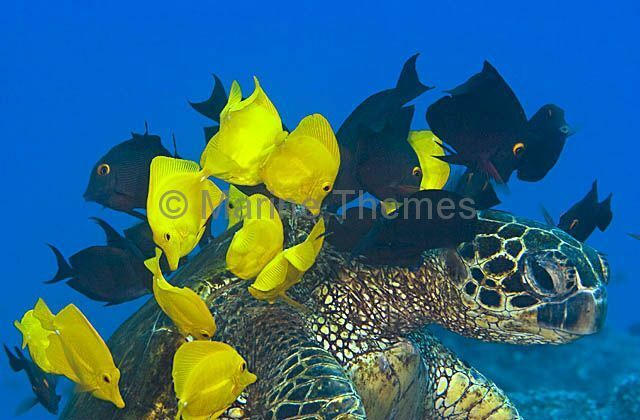 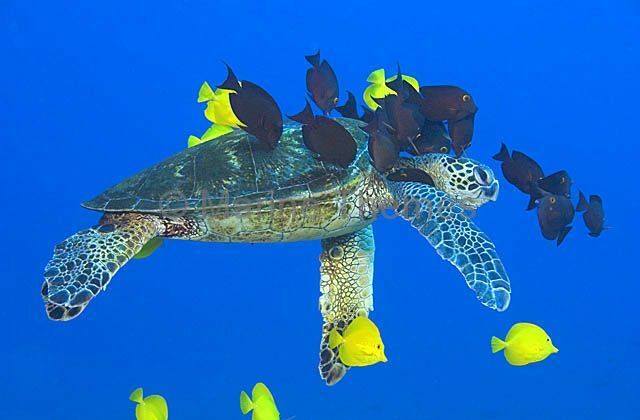 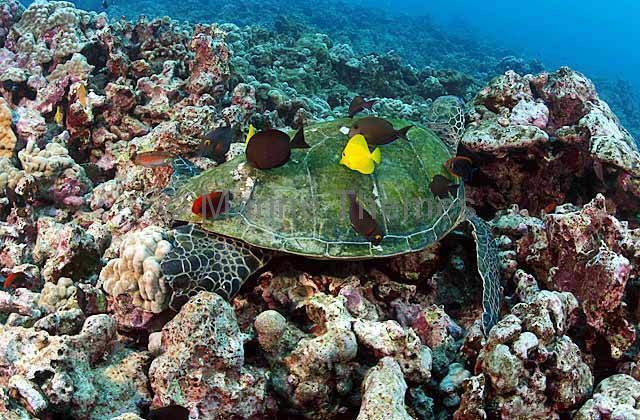 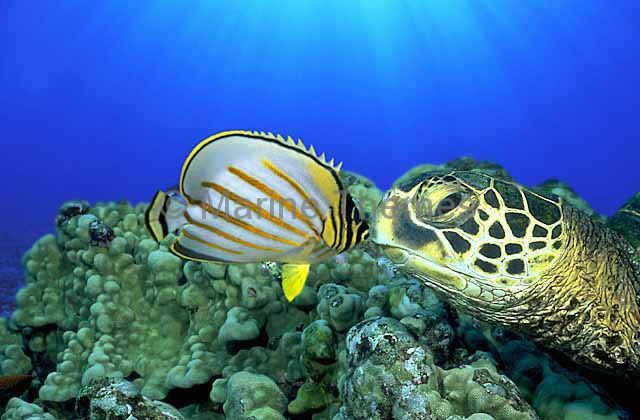 Green Turtle (Chelonia mydas) being cleaned by two species of surgeonfish. 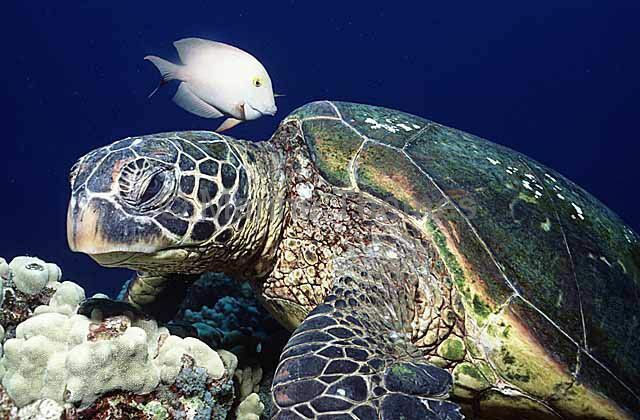 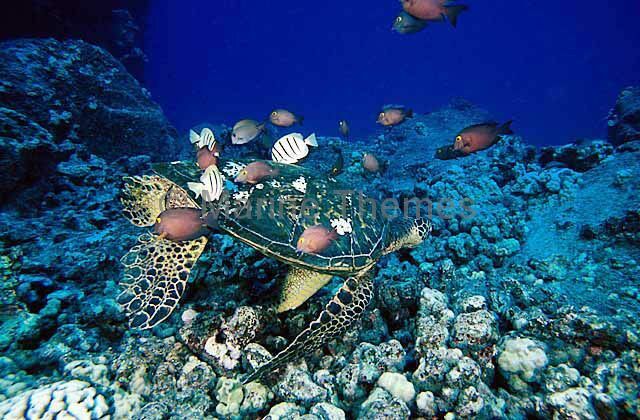 Green Turtle (Chelonia mydas) hovering in open water above coral reef while being cleaned by Surgeonfish. 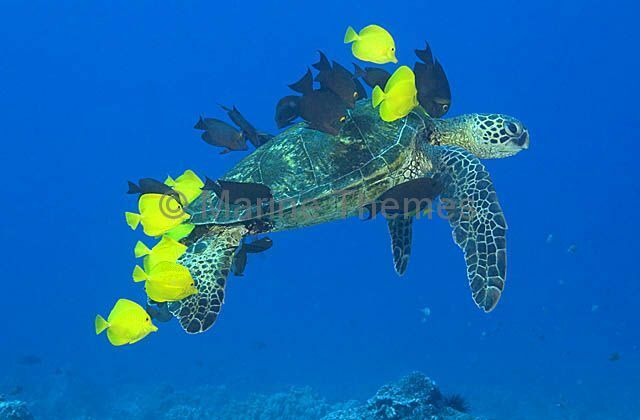 Green Turtle (Chelonia mydas) being cleaned by Yellow Tang (Zebrasoma flavescens).